In 1934 Chevrolet made one of the most beautiful cars in the history of the company. This 1934 Chevrolet Cabriolet is being restored to exacting standards. 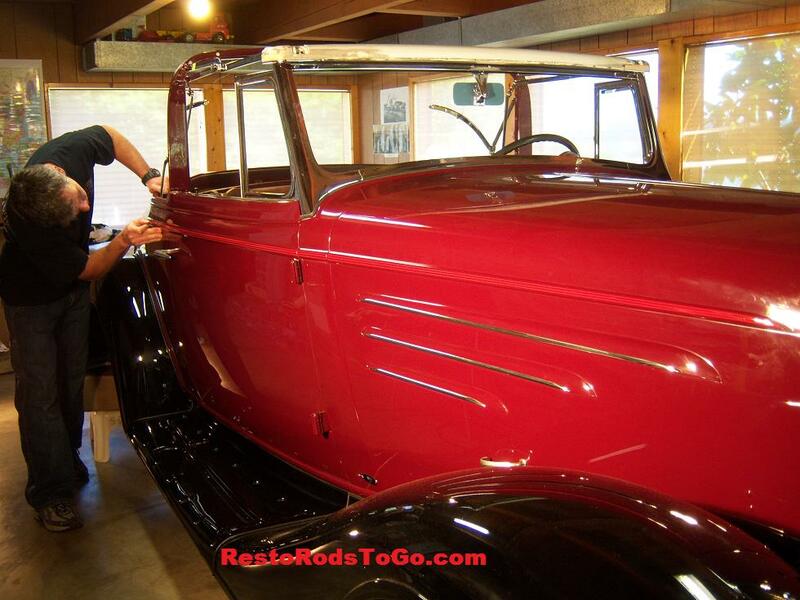 We had to recast the 1934 Chevrolet Cabriolet Windshield on this one because the original was in bad condition. We recast it in bronze to replace the original pot metal frame. Welcome to Resto Rods To Go! Growing up in Northwest Washington State I had my hands in the grease at an early age, rebuilding the engine in my first car before I had a license to drive. I began autobody work and prepping for paint before graduating from high school in 1969. Post graduation my career began in a body shop in Kirkland, Washington, and I've worked in the auto repair and restoration industry ever since. As I made a conscious effort to land employment in the shops with the highest reputations, I was privileged to work with many talented automotive craftsmen over the years. Read the rest of my story. Copywrite RestoRodsToGo.com 2010-2011. Picture Window theme. Powered by Blogger.